Aldrich Public Library is seeking a dynamic, visionary leader to fill the position of Library Director for the Aldrich Public Library. The library seeks a progressive, collaborative team-builder who is an experienced and committed professional with proven management and administrative skills. The successful candidate will be knowledgeable about current and emerging trends and best practices in public library services and embrace the rapid technological changes occurring in today’s public libraries. This is a Full Time Position. The position requires a minimum of an MLS degree from an ALA accredited program or equivalent library certification; five years of library experience of which two years should be in a supervisory capacity. A detailed job description and application process can be found at the Aldrich website http://www.aldrichpubliclibrary.org/employment/. Applications must be received by January 23, 2015. 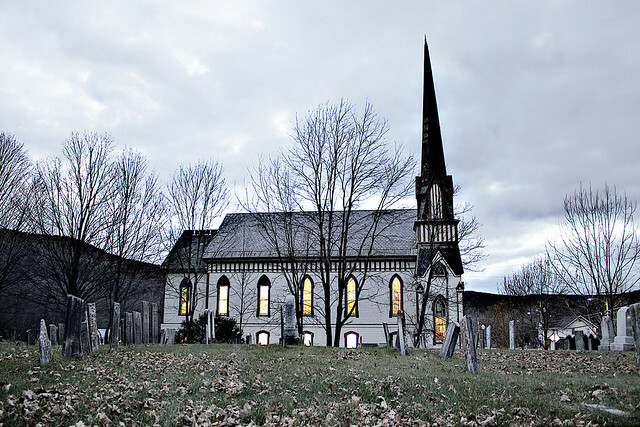 This year’s Vermont Library Conference will be held on May 20th at St. Michael’s College. Registration for the event is now open. 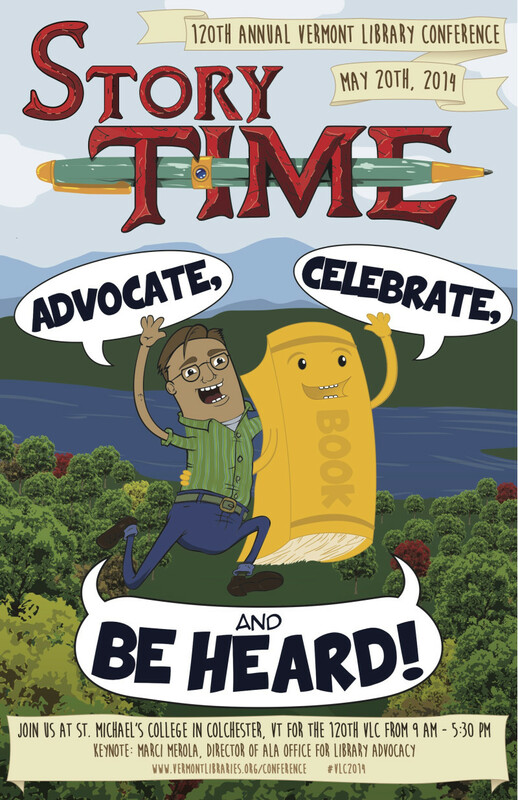 Join the Vermont Library Association as we explore “Story Time: Advocate, Celebrate, and BE HEARD!” with ALA’s Director for the Office of Library Advocacy, Marci Merola. We have an amazing schedule full of sessions, panels, poster presentations, lots networking time, and BATTLE DECKS! Registration for members is $50 ($60 after May 1st). Nonmembers are $75 before May 1st, and $85 after. Looks like a good time. Register here. 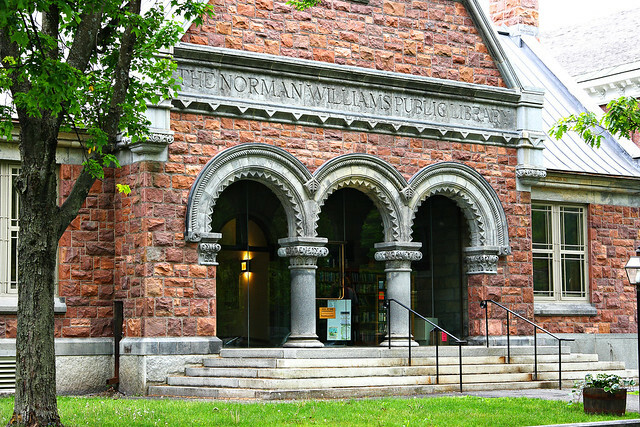 Here’s a fact you’ll often hear about Vermont libraries: the state has more public libraries per capita than any other. 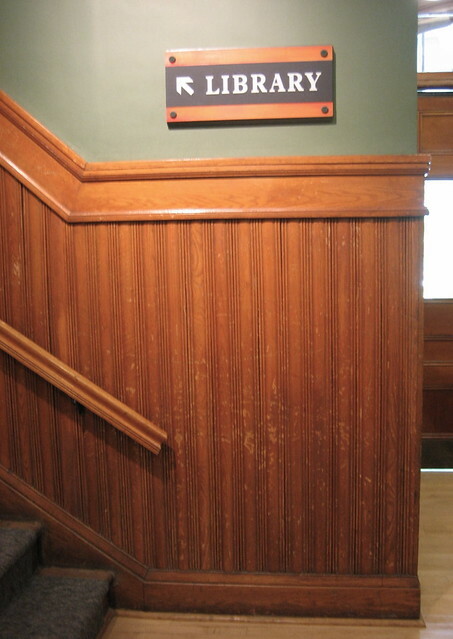 That statistic is born from a tradition of each town independently operating its own library. This set up makes each library unique to its community. But it also puts limits on the amount of resources the library can offer and on the ability of staff to meet community needs – like computer training, downloadable books and reference skills. We look at how Vermont libraries are trying to be innovative in response to community demands with Mary Danko, president of the Green Mountain Library Consortium and director of the Hartland Public Library, and with Jerry Carbone, the longtime director at Brooks Memorial Library in Brattleboro. This awesome, awesome photo was taken of the Richmond Library by michael.mckennedy. Located in Woodstock. Photo by BonBonMom. 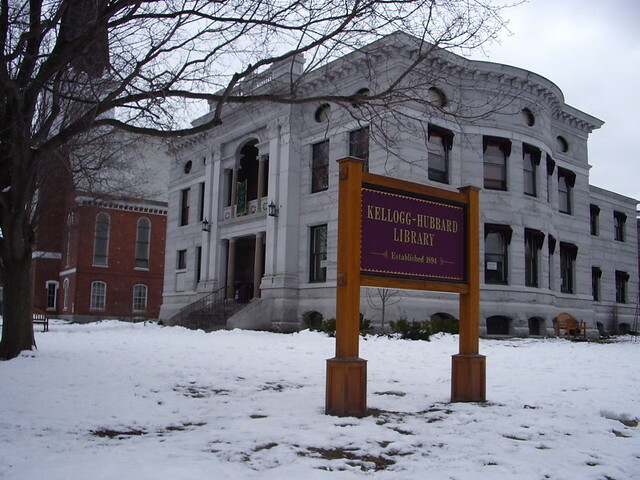 a librarian at Rutland Free Library. reshape and define what a library should or shouldn’t be to a community. overwhelming that we forget how much we rely on our users. whatever you’re about, the library can help. This week is National Library week, and we’ll be looking at libraries over the course of the week. Over the past couple of months, as the nation focuses on national and local budgets, the role of the library in the community have received more attention from all sides, and in my mind, have continued to validate their existence as a community anchor point. Libraries have been important to me throughout my life. Some of my earliest memories are centered around play group and story times at the Brown Public Library in Northfield, where my mother took me when I was little. When I entered middle and high school, Harwood Union High School became the place where I hung out the most, working off and on as a page, or checking in and out books when the librarians were busy. Instead of a locker, I stashed stuff behind the circulation desk, and often convinced the librarians to enable my growing reading habit by ordering me books from a new website, Amazon.com. At the same time, I worked as a page at Brown Public Library, where I learned all about circulation, returning books and so forth. Libraries have been a familiar world, and while I’ve yet to work in a library since high school, I’ve attempted to frequent them as much as I can, either at the Kellogg Hubbard Library in Montpelier, or the Kreitzberg Library at Norwich University, as I work on various historical projects or look for a quiet place to work and read. Libraries are on the verge of great changes, and I’ve been fortunate to see some of the early changes when it comes to distance learning and books in an electronic age. Libraries were important before not only because of their books, but because of their ability to provide access to information for any citizen of the republic to better themselves and to seek out some better understanding of the world around them, either through the insights available through a novel to a non-fiction work. That access will continue to change, but I firmly believe that the role that a library will play in the community will grow beyond town and organization lines, and that the time to support libraries is now, rather than shrink back along with town budgets. Libraries are more than walls, more than shelves of books and computers: they are the heart of our communities: we need to recognize and support these, in order to properly support the health and well being of our own existence. It’s more than ever important in this day and age.